If you have pain or tingling in your hands you might be like 2-5% of Americans who suffer from Carpal tunnel syndrome each and every year. But what is carpal tunnel syndrome? What Causes it? What symptoms are associated with it? How does the doctor diagnose it? How is it treated? 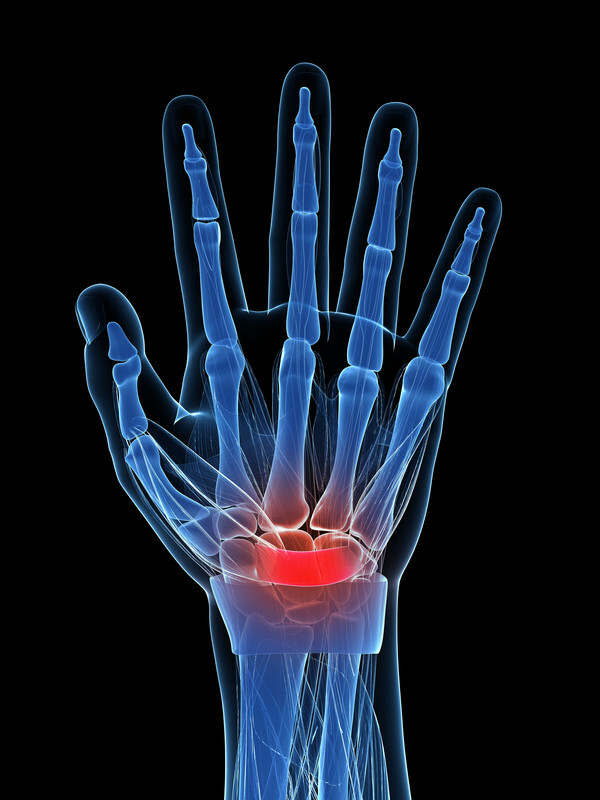 What is carpal tunnel syndrome and what causes it? If you understand why carpal tunnel syndrome occurs, the symptoms it presents with make a lot of sense. Carpal tunnel occurs when a nerve that carries information to and from the brain is compressed in a structure known as the carpal tunnel. A tough sheet known as the known as the transverse carpal ligament runs over the median nerve. When this tunnel becomes too small for the nerve, the nerve is compressed and this interrupts signaling too and from the brain. How will a doctor know if I have carpal tunnel syndrome? Do you have numbness of the hand? This is usually your dominant hand in carpal tunnel syndrome. Where is the numbness? They are looking to see if the numbness is over the areas supplied by the median nerve. This is usually your thumb and middle 2 and a half finger. Is the numbness worse at night? Usually, patients with carpal tunnel syndrome wake up in the night with tingling and loss of sensation. Looking at your hands to see if there is muscle wasting in the muscles supplied by the median nerve. Checking sensation over the area supplied by the median nerve. If they still suspect carpal tunnel syndrome they will usually send you for a test known as EMG. EMG looks at how fast the nerves are conducting signals. There should be a decrease in speed across the median nerve in the carpal tunnel. What treatments will they offer me? There’s a whole host of ways to treat carpal tunnel and specialist centers might offer newer or rarer procedures than your family practitioner. Most places will offer you a wrist splint which is worn every night for a month. You may also be offered NSAID painkillers like ibuprofen. In those with severe and unremitting symptoms, a surgical release may be advised.